Anne Tyler, MS, LMFT is offering specialized groups to help gifted middle school students and their families develop an action plan to support executive functioning skills in school and at home as they transition to increased demands at school. MindQuest Transitions: Game On! groups support students and their parents/caregivers as they begin the new school year to develop an action plan to manage schoolwork challenges, improve communication skills and increase self-directedness. Students will be offered the opportunity to create a support network, develop self-advocacy skills, learn problem-solving strategies, increase motivation and practice stress reduction in a supportive group setting with other gifted teens and parents/caregivers. The psychology of gaming will be used to motivate and inspire change in a more exciting way. Game On! is offered every fall to support the beginning of the school year with improved habits. Participants can repeat this group as many times as desired since individual goals will change each time and materials are updated each year. The psychology of gaming will be used to motivate and inspire change in a more exciting way. Group sessions of 1.0 hour each for child participants. And, parents/caregivers attend the last 15-20 minutes of each group session to give their child time to practice communicating about their goals, progress and challenges. Extensive supportive materials for parents/caregivers and their child. Groups for Parents/caregivers to support the implementation of goals with your child. Parents meet every three times during Game On! Groups (3 sessions). 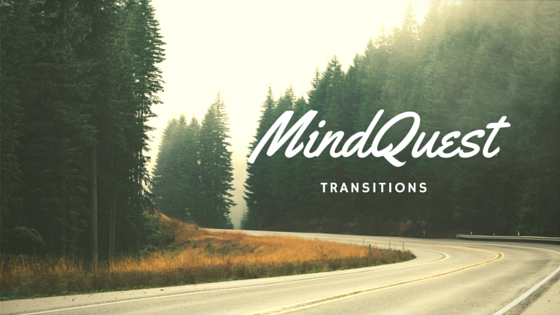 Note: It is important to note that both MindQuest Transitions: Game On! are skills development groups and not therapy or behavioral management groups. If your child has significant behavioral challenges this may not be the group for them at this time. If your child shows significant behavioral problems, they may not be able to continue and you will be offered more appropriate resources for your child to help them with behavioral challenges.